But those aren’t exactly goals. There is no plan. When I decided to go out on my own and devote full-time to my GlobalCove Technologies business, I decided I needed to not only be an expert in certain areas of the software development field, but I needed to start learning how to sell and even market myself and ultimately my products. This was a hard thing for me to do. In the past, I have just created content, thinking that “If I build it, they will come”. That just didn’t happen. I built it and no one knew about it – so how could they come? So I spent more time in the last few months of 2014 trying to better myself on selling and marketing in general. No, not the sleazy selling that you see everywhere and definitely not the email spamming about special diet pills, but rather how to let people know in a non-interrupting way about the products and services I offer. If people want more information then they can opt-in. If I provide value, then people will stay. If I don’t, then people will leave. But if I don’t let people know, they never have the opportunity to opt-in and some people would miss out on something that could actually make their lives better in some small way. Once I started thinking about it that way, it became easier to sit down and focus on this thing called marketing. And really, all marketing is in this context is relationship building. For the last decade and a half, I’ve worked out of my home. There are tons of benefits with that, but there are also some drawbacks. One of the drawbacks is limited interaction with other people. I’d sit in my basement office and toil away for hours and days and even weeks by myself working on some gnarly problem without ever speaking to any colleague, supervisor, or client. Now, to many people that can sound like a dream. And sometimes it was – “just let me get my job done and stop bothering me!”, but over time when that is the attitude and that is what I was striving for, I ended up missing out on helping others when I could have and being helped when I needed it. I’ll be more alert to those around me and the needs they have. Work on retirement strategy by mapping out where I want to be in 20 years and creating a roadmap of what is needed to make that happen. So what are your goals for 2015? I didn’t set any for 2014 so I didn’t meet them. If you haven’t set any goals for the year, no matter when it is in the year, you should set some goals today. Where do you want to be a year from now? What do you want to accomplish? 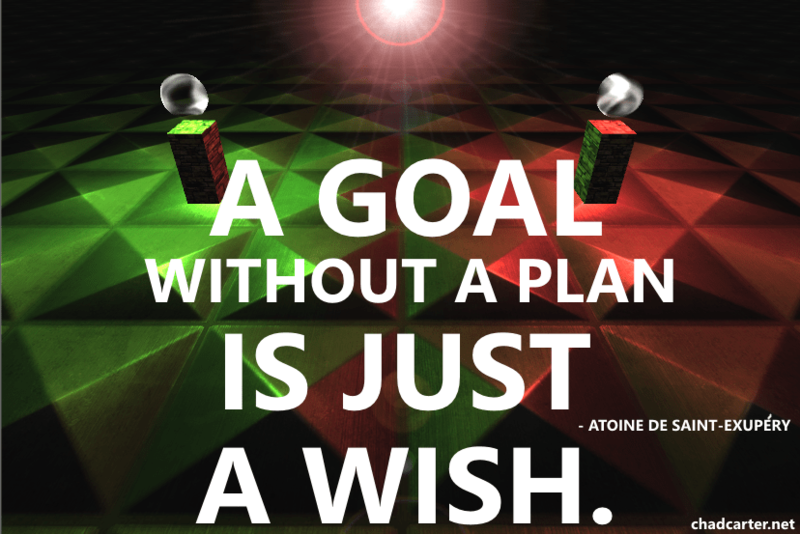 What steps do you need to do along the way to reach those goals? Let me know in the comments what your goals are for this year. I’d love to hear them!